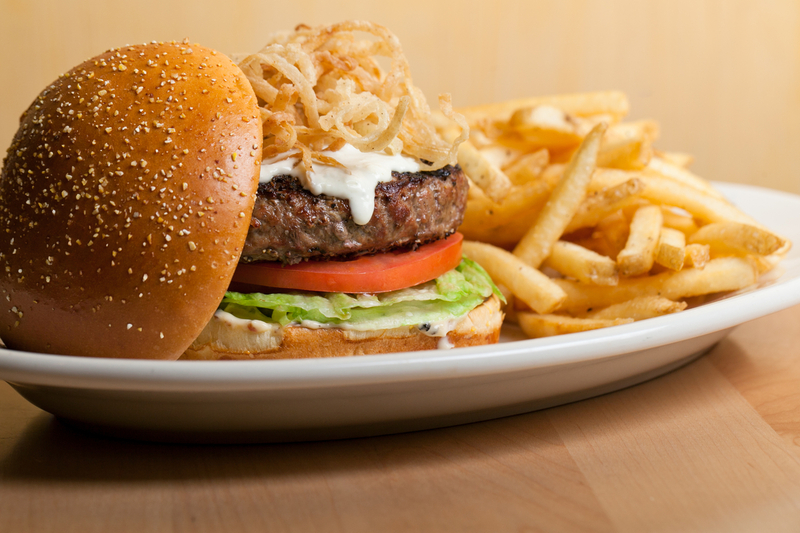 Burgers deserve a full month of celebrations which is why May has been declared National Burger Month! 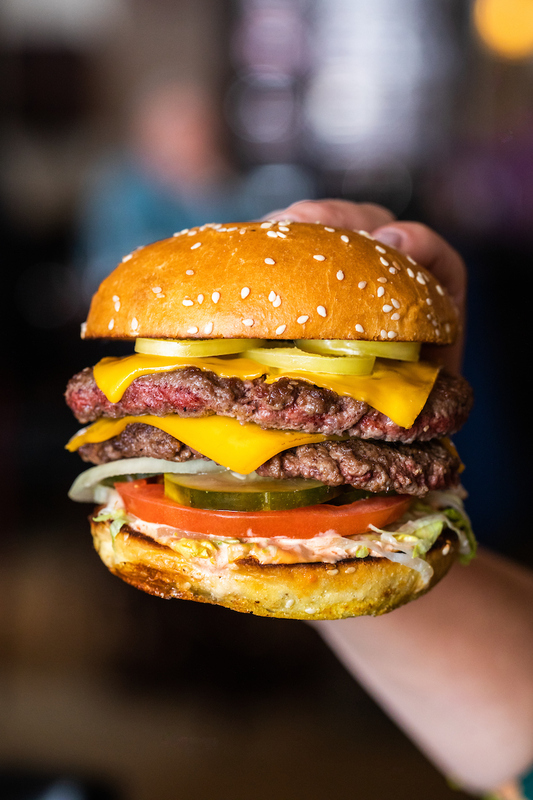 We wanted to make it as easy as possible for you to eat all of the burgers, all month long, so here is a guide to a few of our favorites including specials for National Burger Month, NEW burgers, classic burgers that you’ve gotta try and a few meatless options. 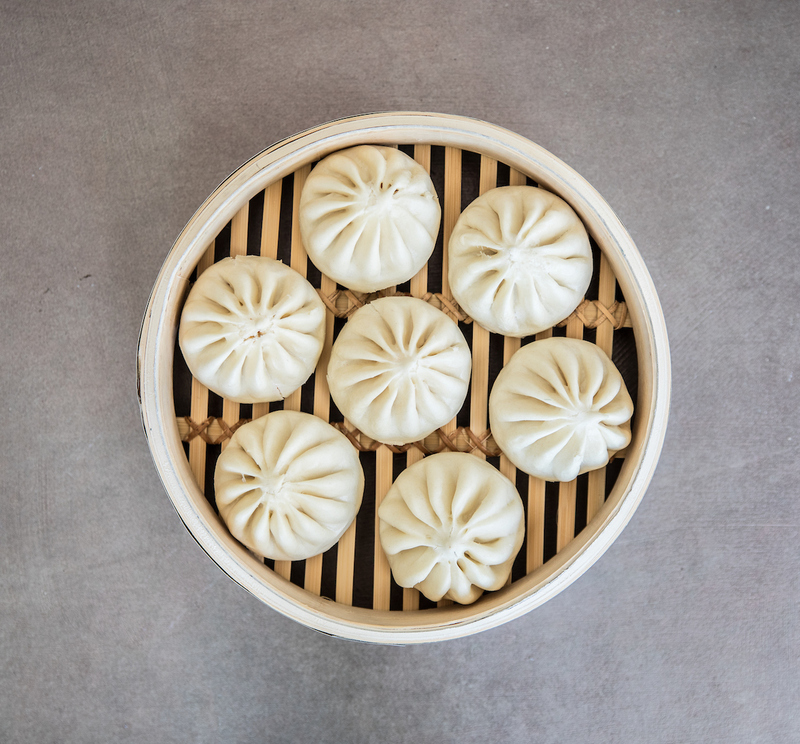 With options like the Cheeseburger filled bao at Wow Bao, here are 26 burgers to chow down on all month long! 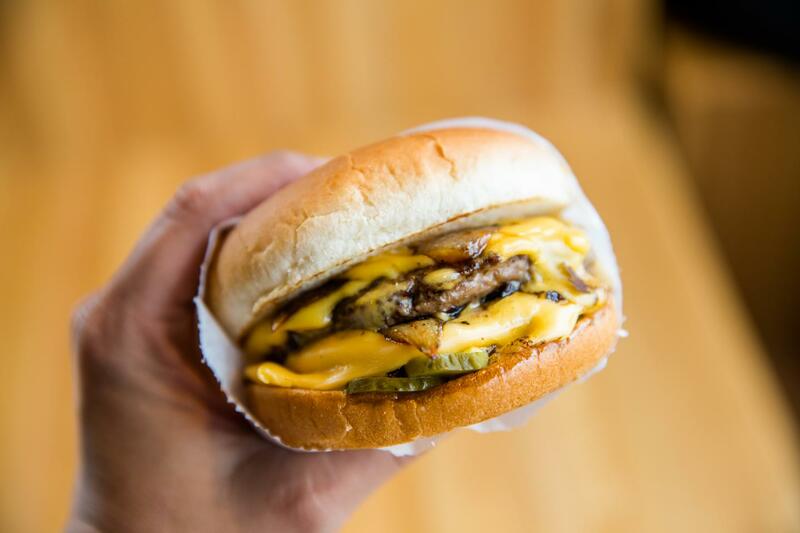 M Burger is partnering up with Cooper Cheese to be the first to offer the Midwest a taste of what was named the best American Cheese in the country by Bon Appetit Magazine. For a limited time only, Chef Tim Hockett is serving up the Cooper Cheeseburger featuring Cooper’s sharp cheddar cheese, crispy onion strings, tangy dijonnaise and Pucker’s pickles. Order the burger as a single or double! Celebrate National Burger Month at Mity Nice! Throughout the entire month of May, enjoy the lunch and dinner special, the Alpine Burger with peppercorn mayo, arugula, grilled onions, sauteed mushrooms and swiss cheese, served on a cheese bun. 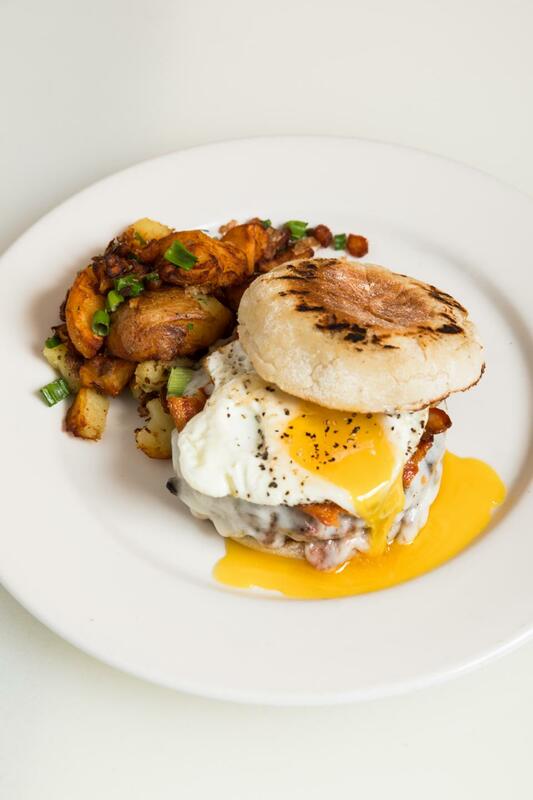 Plus, don’t miss out on the Hangover Burger with chipotle mayo, pickles, grilled onions and American cheese, available every Saturday and Sunday for brunch from 11:00 AM – 3:00 PM. 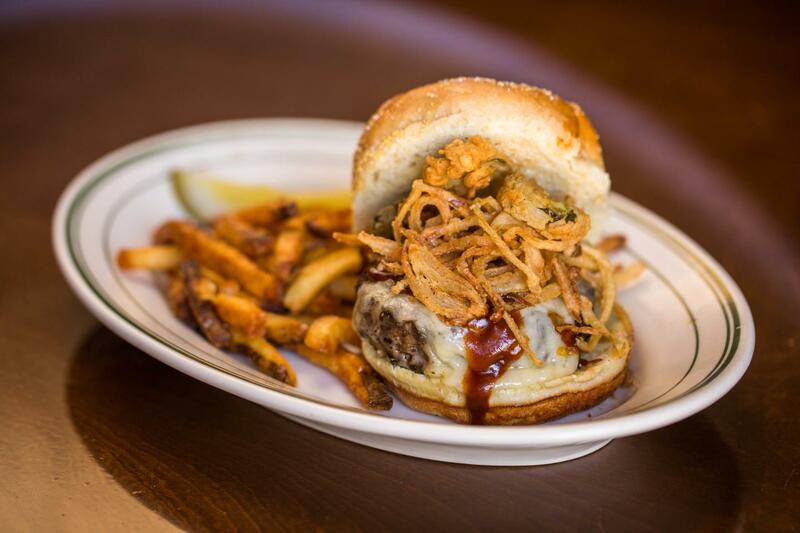 Bonus: try Mity Nice’s Fritzy’s Special Burger with peppercorn crust, crispy onions and bleu cheese daily! All three locations of Joe’s Seafood, Prime Steak & Stone Crab have created special burgers that will be exclusively served during National Burger Month this May. 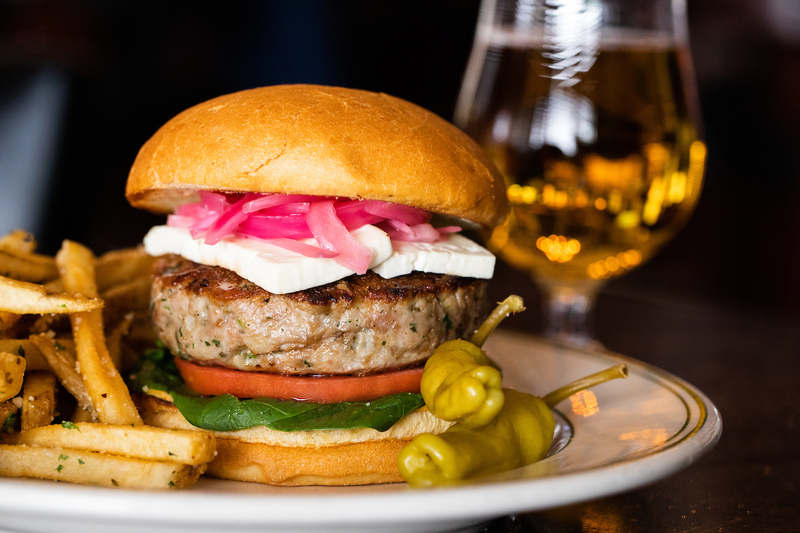 Chef Justin Diglia of Joe’s – Chicago has a Mediterranean Turkey Burger: An eight-ounce turkey patty seasoned with garlic, oregano, parsley and onion topped with feta cheese, pickled red onions, tomato, spinach and roasted red pepper mayonnaise served on a ciabatta bun with a side of garlic fries and pepperoncini. 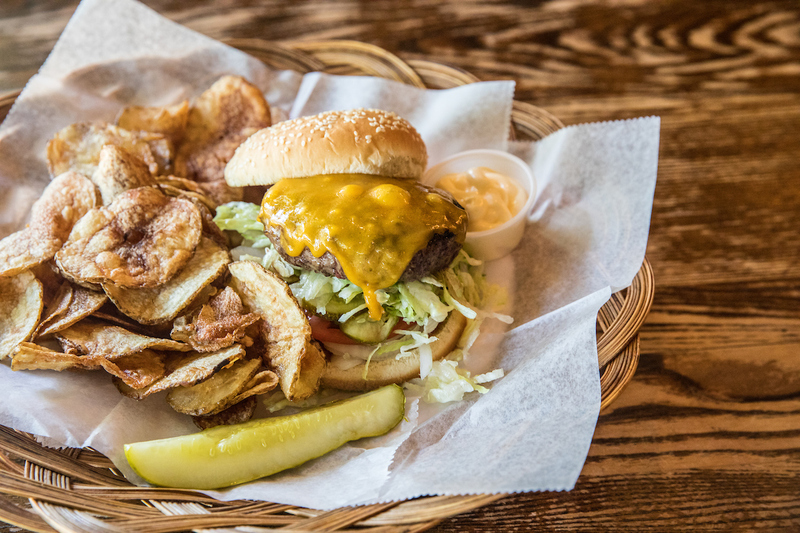 Joe’s in Washington D.C.’s Chef Chris Morvis created Joe’s Double Hot with Cheese: Two four-ounce burger patties topped with American cheese, Sriracha mayo, pickles, banana peppers, onions, lettuce and tomato on a toasted bun and served with french fries. 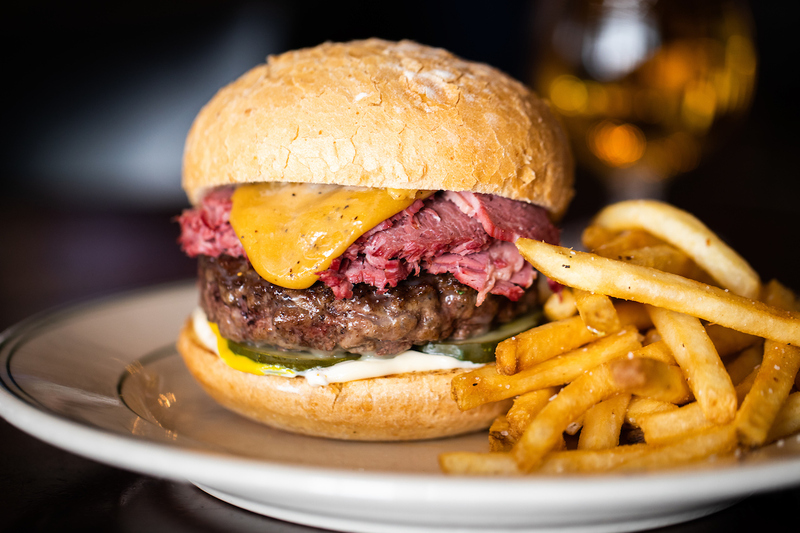 Over in Las Vegas, Joe’s Chef Mark Lord is serving up the Corned Beef Beer Cheese Burger: An eight-ounce burger patty, topped with thinly sliced corned beef, beer cheese sauce, mayo, yellow mustard and pickles on a toasted bun and served with french fries. Wow Bao’s Cheeseburger Bao is filled with freshly-ground hand-cut Angus Beef® with pickles, caramelized onions, ketchup, mustard, and cheddar cheese. It’s available throughout the month of May, while supplies last, at all Chicagoland locations. 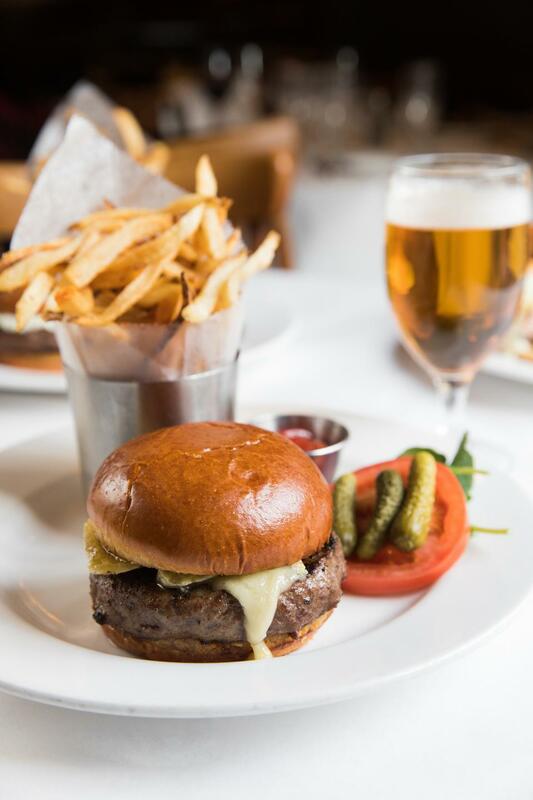 Oyster Bah may be best known for having some of the freshest seafood and oysters in the Windy City, but did you know they also serve one of the most epic burgers in town? Chef Donny Farrell was not messing around when he introduced the Prime Burger made with 8 oz. Slagel Farms Beef, Roquefort, crispy onions and dijonnaise. Do you know what pairs well with this burger? Alaskan King Crab Legs, duh! Crab Cellar offers unlimited King Crab & Prime Burgers for $79.95 per person plus tax, (gratuity not included). Haven’t been yet? Snag your reservation here. We found heaven and its a burger at Mon Ami Gabi. 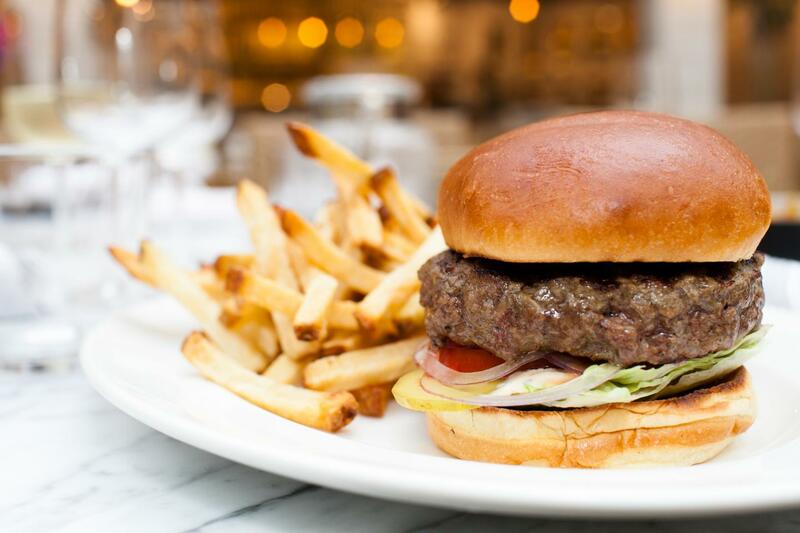 Chef Susan Weaver created a Truffle & Brie Burger served with hand-cut frites as a Tuesday night special in January and it was so popular that its now been added to the menu at nearly all Mon Ami Gabi locations. The restaurant is still serving up rotating monthly burgers available only on Tuesday nights. 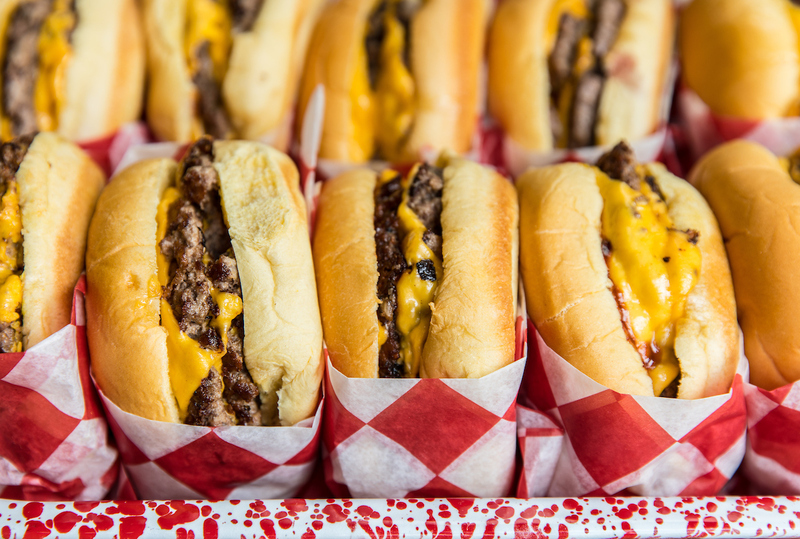 Two is usually better than one and Booth One’s new Prime Cheeseburger Twins are no exception. 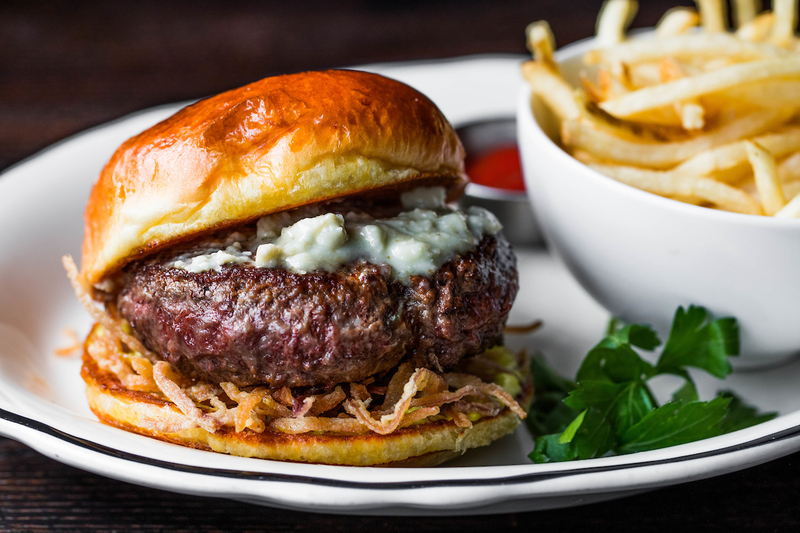 These prime beef burgers are topped with a choice of Stilton Blue or Neal’s Yard Cheddar, plus caramelized onions and mushrooms all on a housemade sesame seed bun. 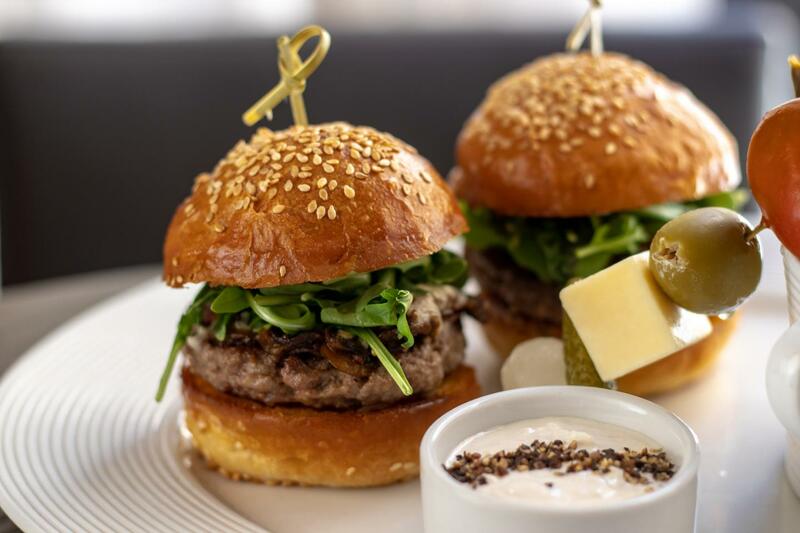 The burgers are also served with Booth One’s hand-cut french fries, horseradish cream and a colorful skewer of cherry peppers, cornichon, blue cheese-stuffed olive, white cheddar and a pearl onion. Stella Barra Hollywood & Santa Monica: All-Natural Griddle Burger – double stacked, aged cheddar, pickles, onion, lettuce, tomato, mayo for $13.95. Click here to learn more about Stella Barra Hollywood and Santa Monica’s new lunch menu! 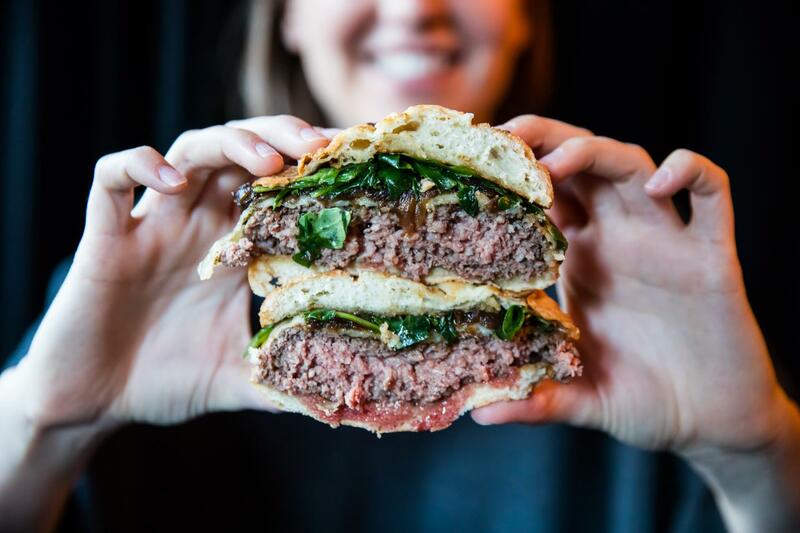 The Impossible Burger took the nation by storm this year and M Burger’s Chef Tim Hockett has mastered the 100 percent green burger. Check out the Impossible Burger served with American Cheese, lettuce, tomatoes, pickles and sauce. 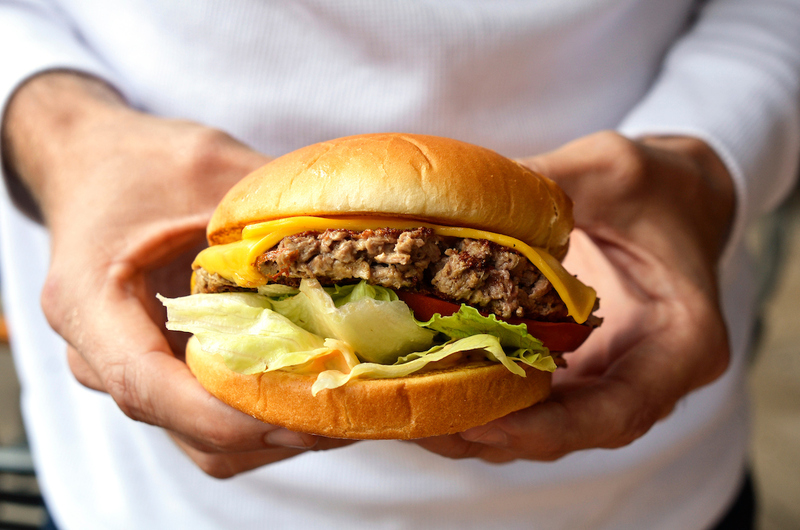 Read more about the Impossible Burger here. Chef John Chiakulas is responsible for creating one of our all time fave veggie burgers at Beatrix. 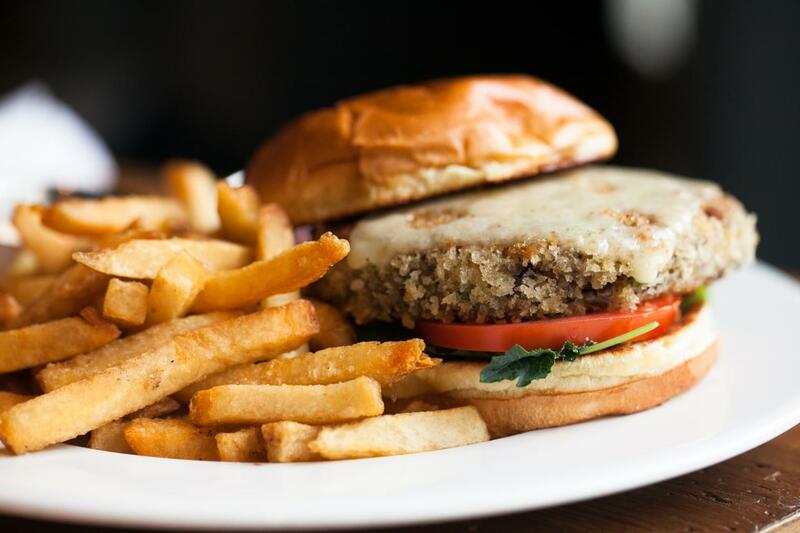 The Mushroom & Quinoa Burger with swiss cheese, baby kale and sriracha aioli served with kennebec fries and is a hearty alternative if you’re not in the mood for meat. 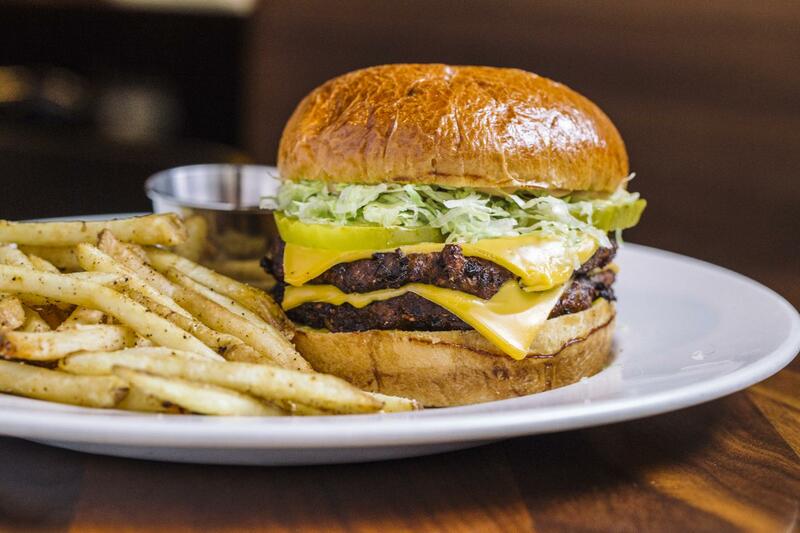 Hub 51’s Anti–Burger is a delicious rendition of a veggie burger – two housemade patties that are loaded with beluga lentils, farro and quinoa are stacked with American cheese, lettuce, pickles, mustard, secret sauce and Cholula for a slight kick. Have you ever tried the Wildfire Bison Burger Deluxe? Executive Chef / Partner Joe Decker makes it with an 8-spiced charcoal grilled bison burger, Gruyere cheese, arugula tossed with a balsamic vinaigrette, onion marmalade served on a grilled onion ciabatta roll . Summer House Santa Monica – Prime Brandt Beef Burger with lettuce, tomato, mayo, mustard, onion, pickle for $15.95. Pro Tip: Add roasted poblano for $1! 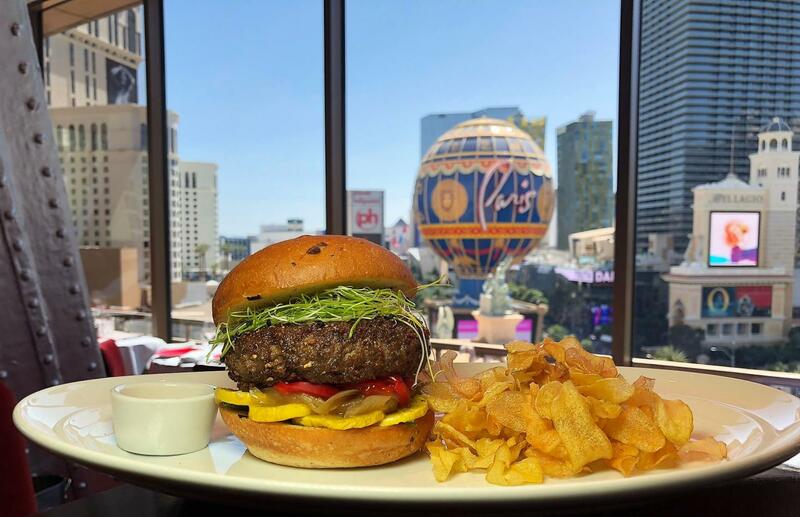 At Eiffel Tower Restaurant in Las Vegas, Chef J. Joho has created a delicious Lamb Burger made spicy Moroccan-style with pipérade served alongside fingerling potato chips. The ground lamb is mixed with a unique blend of spices including ginger, cumin, coriander, allspice, cayenne and clove and the burger is served on a Kalamata olive bun with a bed of roasted red peppers, squash, caramelized onion, cilantro and harissa aioli. L. Woods’ Brisket Burger is made with prime smoked brisket and prime ground beef blend, white cheddar, BBQ sauce, crispy jalapeños and onions. Stripburger & Chicken is the spot to satisfy your burger craving when you’re on The Strip in Vegas. 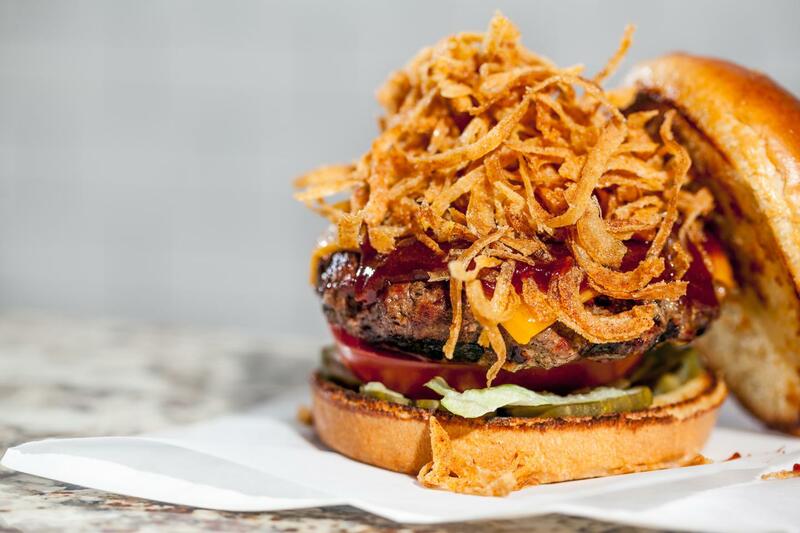 Might we recommend the Whiskey BBQ Burger with fried onion strings, cheddar and BBQ sauce infused with Jack Daniel’s? 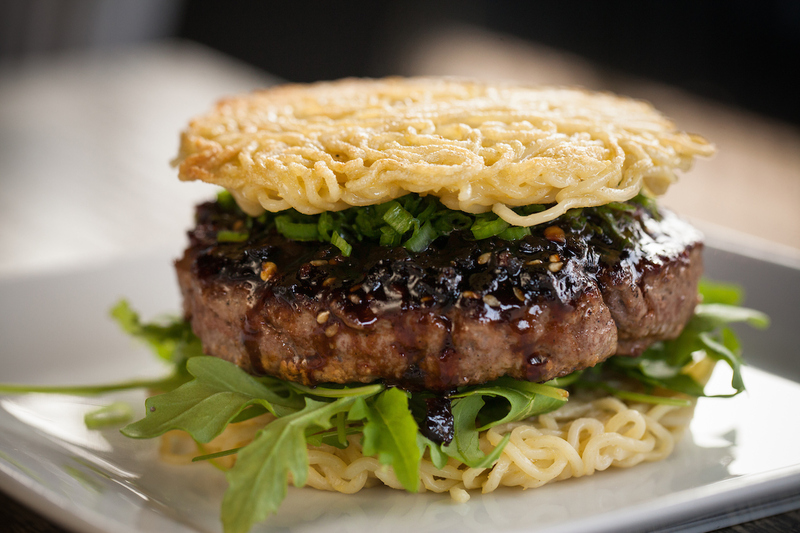 Head to Tokio Pub for one of the more unique burgers, the Ramen Burger. Made with Angus beef, soy”molasses”, mizuna and green onion, this burger is served on a ramen noodle bun – each bite combines a sweet and savory flavor with a fun crunch for the ramen noodles. 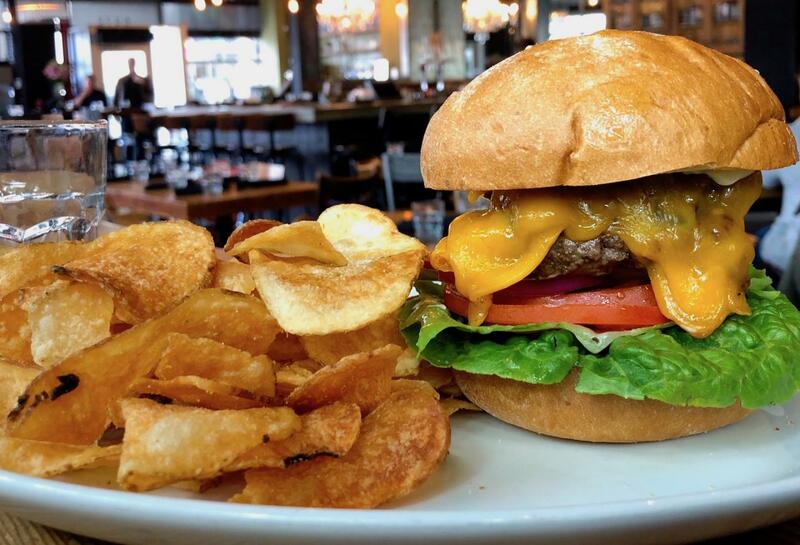 Did you know that every Monday, Bub City (Chicago and Rosemont) offers a $5 Burger special? Nosh on the signature Double Barrel Cheeseburger made with double patties, American cheese, KC Sweet BBQ Sauce, pickles and mustard. 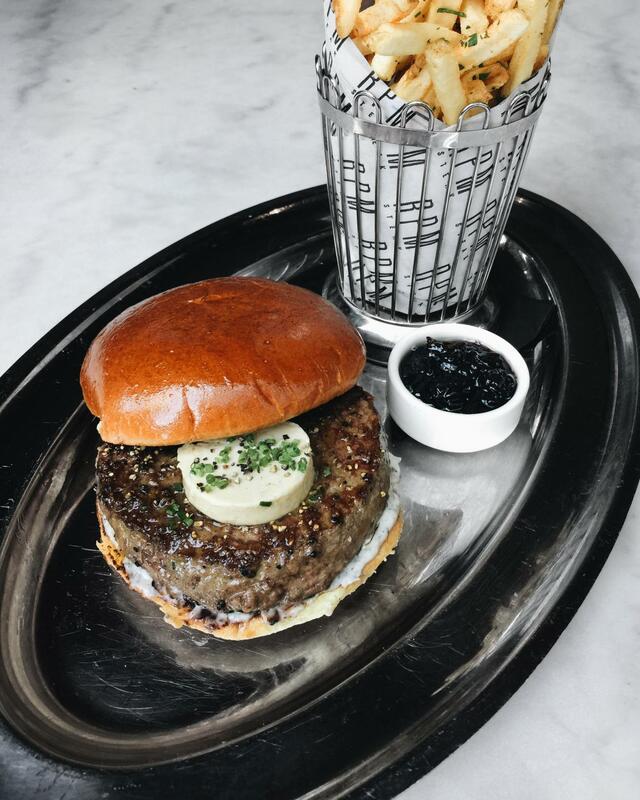 Only available during lunch, RPM Steak’s Black Truffle Burger combines 10 ounces of juicy dry-aged beef brisket, dry-aged chuck and dry-aged short rib that’s topped with foie gras butter, truffle aioli and chives, all served on a toasted brioche bun. Last but certainly not least is one of Lettuce Entertain You founder Rich Melman’s all time favorite, The Cheddar Burger from R.J. Grunts. We hope you’ll celebrate National Burger Month throughout the month of May with us and devour one of these deliciously tasty burgers! 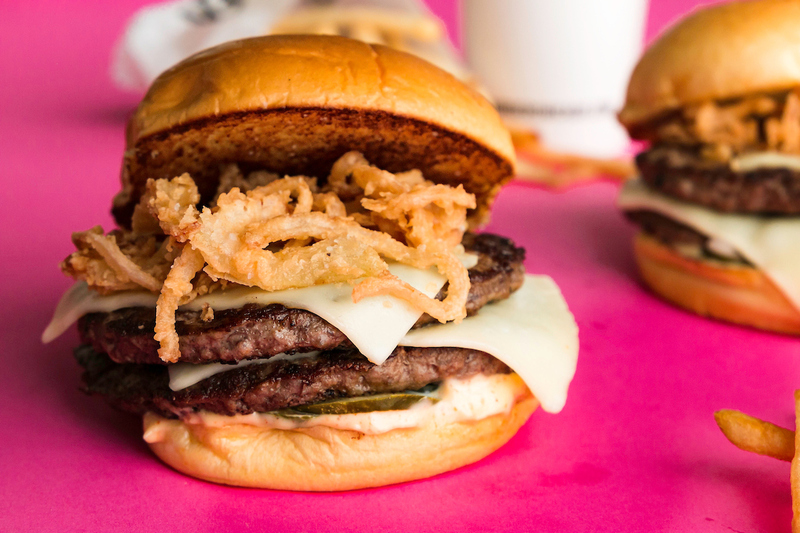 The M Burger team breaks down how to make the most perfect burger ever, read all about it here.